Share the post "Folkie Week on Global Village"
Starting April 2, Global Village will kick off “Folkie Week,” featuring music from UK musicians June Tabor, John Renbourn, and Karine Polwart, as well as some different approaches to folk music from various locations around the world. This week the show will also be celebrating the birthdays of legendary guitarist and English folk-rock pioneer Richard Thompson, bassist Danny Thompson, and fiddler Dave Swarbrick. 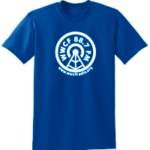 Tune in this week, Monday through Thursday, at 9pm for an eclectic blend of folk music presented by Chris Heim on Global Village, here on WWCF 88.7 FM. Share the post "WWCF at the 38th Annual Mercersburg Townfest"
The 38th annual Mercersburg Townfest will be held on Saturday, September 30th from 9am-2pm in downtown Mercersburg, PA. You’ll be able to visit with WWCF staff in addition to around 120 various crafters, artisans, musicians, food vendors and businesses. Help us expand our music library by donating your old music to the station by bringing your old records, CDs, or other music media to WWCF’s record swap. A selection of vinyl will also be available for purchase. You can find the WWCF tent on the corner of East Seminary St. and the town square. Spend the day in downtown Mercersburg for plenty of fun for the whole family, including a variety of activities for children, local food and entertainment, as well as the 4rd annual Mercersburg Beer & Wine Festival from 2-5pm. 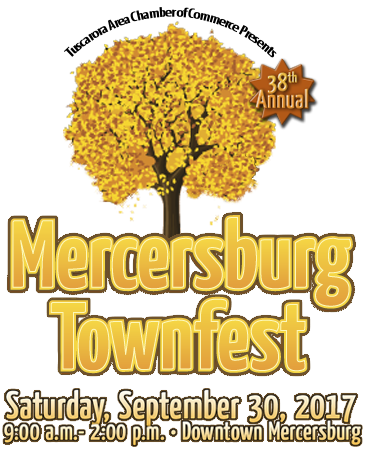 For more information, visit mercersburgtownfest.com.